I want to boost my health and my gut health up and I need some advice on how to do this – I was thinking I’d get a probiotic – any suggestions for which one – I was thinking symprove or vsl#3. I’ve been taking inulin FOS. I like kefir but need to start buying it again. What else can I do to get myself healthy again? It’s busy round here, isn’t it? I’ll offer my 2p worth increasing the foot fall 100%…. Can you make your own Kefir? or other probiotics?. Kefir is easy and I’d like to think probably has more beneficial bacteria than commercially available and possibly offers the most bang for your buck. I make may own most days, its easy but it takes time. It might help you but I doubt it will cure you. I also make Purple Sauerkraut (recipe off here I always make 7 times the recipe, it goes in my daily salads and I make it every 3 months or so), Kombucha, Yogurt and Sourdough (for occasional consumption as I try to be low carb). Re diets as I think you’ve found they are not sustainable (especially in the upheaval you’ve been experiencing, hopefully things will settle down and you can get back on track). I think to be really effective you need to change your lifestyle, diet is just part of it. I know that’s easier said than done but I did it a couple of years ago and I’ve sustained my 3+ stone loss and I feel better than I did when I was 20 so its possible. Think of it as a new hobby but you do have to stick with it. I’m sure if I went back to my old ways I’d quickly revert to where I was. Look at doing HIIT 10 mins every other day is a very time efficient way of improving your fitness (but you may want to start with less and build up) I do mine on a cross trainer but there are plenty of other ways. Good luck! Go for it you can do it! I’ve used to make kefir but since we’ve been having building work I’ve not made it but I’ve been buying it from Sainsbury’s the white bottle with the green label. I should start doing it again, do you know where can I get the grains from? I’ve had a week of feeling rough with IBS pains and reflux, as well as 2-3 nights of insomnia but something stops me going to the doctor cause I don’t think pills and medicines will help me, it has to come from me and my eating and current lifestyle. I know it’s been triggered mainly by a bad diet and stress of the ongoing building work (almost finished now, thankfully). The last time I went to the docs, I had inflamed toes after some OTC cream for athletes foot hadn’t agreed with me and the doc wanted to give me antibiotics – which I know ruins your gut health and would probably make my athletes foot worse – I treated it myself in the end by bathing it in hot salty water daily . You’re right about making lifestyle changes and I like the idea of treating it as a new hobby. Wow 3 stone loss is excellent. Do you mind telling me what did you do and what helped you?. Your welcome and no I don’t mind telling you what I did/do which have changed a bit over the years…. I was historically always overweight and decided if I didn’t do something aged 40+(with a BMI of 30) It would cause me issues later, my knees were starting to give me a bit of grief and I wanted them to last at least another 40 years…..I was lucky in that I had no illness and was fairly active , enjoying weekend walks and having a job that involved a reasonable amount of time walking about but I never played sports or took any form of exercise (other than walking), as I was convinced I was allergic to both. I started a ‘diet’ and read books (still reading and learning! ), everything Dr Mosley has written is a good start (but Fast diet and Fast exercise are a must) I used to eat toast or cereal for breakfast, sandwiches at break time and lunch and snack when I got home before evening meal (which was nearly always Pasta/Spuds/Rice/Pastry etc) . First I started to exercise, I hated the idea of doing this in public- it wasn’t going to be pretty! and I also wanted something quick, so after reading Fast Exercise I thought I’d give HIIT a go. I decided to spend £300 on a reasonable cross trainer, enough of a commitment to make me use it but not so much to bankrupt me if it was a huge mistake. I started doing HIIT every other day for 5 mins, building up to 10 mins and also strength exercises 20 minutes on the days in between. After a while of doing this I got to thinking i should put more effort into what I was eating as I was undoing all the good work I was doing exercising, after all I wasn’t doing the exercise for fun! (I didn’t enjoy it then and I still don’t! but its much more tolerable now!). So I ditched the bread and changed a few other things. Porridge for breakfast (its now eggs or yogurt as lower carb) Fruit for break time (now swapped to nuts) salad for lunch (this is a big one with salmon or cheese etc and fermented stuff, as many veggies, seeds, olive oil etc as you can fit in the box!) I lost the three stone in 9 months. I reckon I’d have done it quicker if I knew then what I know now. I’d now say diet is the singularly most important thing, exercise is beneficial but I’d say 80% of the battle is what you eat. Eat fairly low carb by ditching the starchy ones (bread,pasta,rice, potatoes now rare for me, yes I miss them, yes most people like them and they are staples but I also believe that’s one major factor why we are in an obesity epidemic) we don’t need them. Practice intermittent fasting (it sounds scary and mad but once you go lower carb its much easier) obviously it will help with weight loss or maintenance but its suggested to have other health benefits (Read Jason Fung’s books) I do 24 hours (dinner to dinner) twice a week, occasionally doing 2-3 days….. Exercise 10 mins HIIT every other day, alternated with half an hours strength exercises (I use the 7 min app and do 3 reps of the classic workout). I’m a bit of chocoholic but its now dark chocolate 75%+ coco solids not dairy milk, even I can’t eat so much dark…. I’d recommend measuring yourself, height and weight and waist, work out what your BMI is and what it should be, that’s your goal and don’t sell yourself short, yes loosing a stone is great but if your still overweight after loosing it keep going. Keep a diary of your stats. Start tomorrow, you don’t have to do everything in one go but change something. I’d suggest looking at what you eat and plan some changes i.e what do you normally have for breakfast can it be improved? if not look at lunch and keep looking…. Go for it, its not easy as we are surrounded by bad stuff but its well worthwhile! I get the whole thing about trying to keep healthy and fit for as long as possible as my mum has Alzheimer’s and her two sisters had it as well – although as far as I know it’s not heredity, I am predisposed to similar health conditions like indigestion and IBS. But I don’t smoke and only drink 1/2 glasses of wine about 4 times a week and I view that at as good for my health and that I get out and socialise in the pub. I too hate sport or going to the gym and most of my exercise is walking the dog but he’s getting old and arthritic. I got on the scales for the first time in ages and I’m way way too heavy 12 st 10 for my 5’ 7” height which gives me a BMI 27.9 !! My focus over the past 6 months or so has been to shun diets and try to eat intuitivey – Eating what I want and when I want BUT I think it’s where I’ve gone wrong because I’ve ended up feeling ill and fat after eating too many crisps cakes biscuits and processed meals so I’m going to work on what I eat and like you say start with small do- able steps and am going shop for and prepare a weeks worth of healthy lunches for when I’m doing jury service next week. 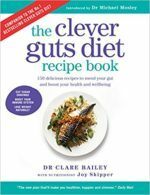 I’m using the Justine Pattinson book, as I like it and she sets out meal options covering 28 days that are based on a Mediterranean diet and healthy gut principles. My husband does 5:2 religiously but I struggle to maintain fasting as I start panicking about getting hungry and getting headaches, I’ve done 16: 8 with v little effort so I’m gong to work towards including that in my plan. I’ve read a few places recently that refer to Alzheimer’s as type 3 diabetes. Jason Fung’s take on obesity and diabetes (and possibly Alzheimer’s ) are all linked to insulin resistance caused by people eating the wrong things (sugar and other refined carbs) and how regularly they eat. His book the obesity code is probably the best book I’ve read and makes so much sense, its quite an eye opener, maybe get it to read during the breaks on Jury service?